يحظى فندق Mayfair Plaza Motel بمكان متميز في محور المدينة والاستمتاع بـ مطاعم, سياحة, كازينوهات في هذه المنطقة الفاتنة. يمكن من هنا للضيوف الاستمتاع بسهولة الوصول إلى كل ما تقدمه هذه المدينة النابضة بالحياة. يوفر الفندق بفضل موقعة الجيد وصولاً سهلاً إلى أهم معالم المدينة.
. يعمل Mayfair Plaza Motel على ضمان إقامة مريحة لضيوفه من خلال خدماته الممتازة وحسن ضيافته. يقدم الفندق واي فاي مجاني في جميع الغرف, مرافق مخصصة لذوي الاحتياجات الخاصة, تخزين الأمتعة, واي فاي في المناطق العامة, صف السيارات لضمان الراحة القصوى لضيوفه. في الفندق غرف نوم يتجاوز عددها 21، كلها مجهزة بعناية وجمال وبعضها مزود بـ تلفزيون بشاشة مسطحة, سجاد, بياضات, صوفا, مناشف. كما أن مجموعة الخدمات الواسعة الموجودة في الفندق لضمان راحتك تترك لك الكثير من الخيارات لقضاء وقتك أثناء فترة إقامتك. اكتشف مزيجاً ساحراً من الخدمة الاحترافية والخيارات الواسعة من وسائل الراحة والمتعة في Mayfair Plaza Motel. يرجى العلم أن ساعات عمل مكتب الاستقبال تنتهي في الساعة 07:00 PM، ولذلك إذا وصل النزلاء بعد هذا الوقت، يجب عليهم تقديم وقت الوصول وأرقام الرحلة لترتيب عملية تسليم المفتاح. rooms were clean and nice. inside Mayfair plaza with food stalls and bakery. next to grocery and supermarket. not noisy as plaza closes at 10pm. very private and secure. locating this place could be tricky but watch out for overhead signboards and have 2 entrance lead to this hotel. The room is big, more than enough for 4 peoples. The staff is very kind and friendly, she help us to have early check in and for all the information that we need it. The location is inside the city of Hobart and close to some sightseeing locations like Salamanca Market and Wellington mountain. Also you don't have to worry about for dinner. There are several Asian restaurants (Chinese, Japanese and Korean) inside the Motel. Moreover, there are two supermarkets near by (5 - 10 mins). The room is big and reasonable price. Also they provide free WIFI and car park. However, no toothbrush is provided. You have to bring your own. Staff is helpful. First time I have stayed here and will stay again. Location is right near many great eating places. Also Coles Supermarket next dorr and Wollworths across the road. Large romm and also a large car park. Easy walk into City centre and water front. A plus and highly recommend. We were in TAS for 10 days. We were camping for 5 days and staying in different motels for 5 days. This motel is the best motel out of the others that we stayed. Very clean and big. We were so happy when we entered the room as it was the last 2 days we stayed in TAS, and we finally could stay in a pretty nice motel while it was affordable. Also, there were lots of asians food nearby. Happy! The hotel is in a good location, near to almost everything: cafes & restaurants of various cuisines (Vietnamese, Thai, Japanese, Italian, etc. ), supermarkets, bus stops are within 5 minutes walk. The room is new, reasonably large and comfy with almost everything we needed. There is still room for improvement though. We went there in Jul, when it was fairly cold but the heating devices didn't do much justice. We needed to ask for one extra blanket and the staff gave us two :). In addition, it will be great if the room is equipped with slippers in the bathroom. The staff is very friendly and helpful. If you're new in town and need some assistance with some tours, restaurants or basically any problem with your stay I would strongly recommend talk to the staff. So in summary, it was not perfect but we were happy with our stay. I would recommend this hotel if you come to Hobart. Really enjoyed our stay at the motel. Wifi works wonderfully. Staff at the counter were very helpful and friendly. Only small thing is that you can hear people rolling their trolleys at the common corridors in the morning but it's nice and quiet at night. my stay was great, location, is a 15 min walk in to hobart or the casino the other way, bus stop right out side and across the road, car park avaliable, it doubles as a shopping mall, but never any issues with people shopping, or dining out in the asian resturants! Good location, big room with 2 queen bed, value for money. We stayed there for 4 nights. The first 2 nights service was very good. The last 2 nights, cleaning staff didn’t even vacuum the floor, didn’t change bed suite. We were feeling a bit disappointed with the cleaning service but overall is value for money though. Spacious room with all you need incl microwave, fridge & toaster. Heater worked well. Looked out over supermarket but bay window allowed water & hill views too. Great location; heaps of food options & other services in immediate vicinity. Free parking & strong, reliable WIFI other pluses. Less than 15mins walk to Salamanca Markets. Only negative was very poor TV reception on free-to-air & Foxtel...almost unwatchable at times. Very clean motel- exceeded our expections, impressive customer service, Huge room and bathroom, central location seconds from the CBD, minutes from salamanica markets and in close proxity of mount Wellington!! Extremely convenient for local restaurants, shops, banks, and yacht marina at Sandy Bay, and only 20 minutes walking distance to Salamanca Place! Comfortable accommodation, with very friendly and helpful staff. Will definitely stay here again. Clean and spacious. Though we arrived at after-office hours, we were pleasantly surprised to see the manager at the reception, and he attended to us. Appreciate the efforts. Room was extremely comfortable and clean. I love their big room and big bathroom! Love their laundry room with fair charges and provide enough washing machine and dryer. Love the location with many restaurants around and two supermarkets next to it, Good parking lot My 72yrs old mum also love this motel the most comparison with another 4 motels we stayed! Thumbs up!!! Travelled down for the point to pinnacle. 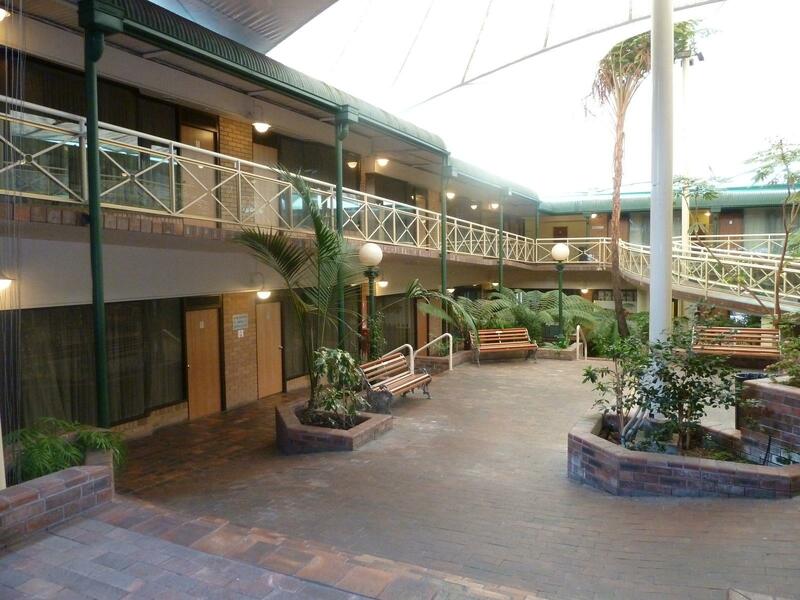 Mayfair Plaza Motel was in the perfect spot, close enough to walk to casino (1km) as well as having shops, restaurants and bars right on the doorstep on the main street of Sandy Bay. Despite being on the main road through Sandy Bay it is was pleasantly quite. The rooms are a little dated, however they are a decent size with good facilities. Staff were very welcoming and helpful when needed. Would I stay here again, definitely. Close to everything you need. Grocery, food, bus stop. Coles and McDonalds is just next door. Lots of restaurants right at the same complex. Woolies , pizza, and cafes are within a few minute walk. The room is big and clean. The area is not too busy or noisy. The lady in reception was extremely nice, my daughter had an exam to do ,it was an overnight stay. My partner was not well and she allowed us to have a late checkout. We have stayed there several times and have never had a bad experience. The accommodation is clean, spacious and comfortable. Location is great with many eateries around and very close to supermarkets that close at midnight. Ample parking for drivers. Reception was very helpful. Very good value and recommended. Mayfair Plaza is a bit of a strange hotel, it feels like the room is in a shopping centre. The room was ok and had all the facilities, but it took very long to warm up. If you don't mind walking up the hill, it is fairly close to Battery Point. It would have been good to know that there were some stairs to access De Witt road, as this did not show on the map provided by reception. Otherwise, there are many Asian restaurants nearby. Free parking. Free wifi.